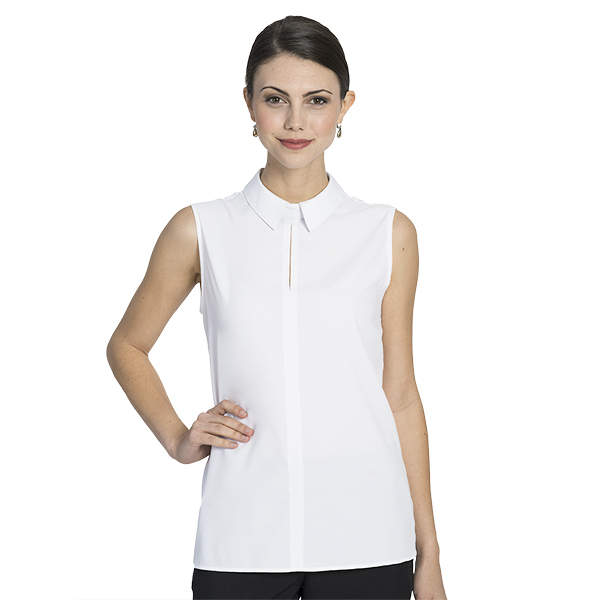 Our Women's Cammy Sleeveless top is made of 95% polyester/5% spandex. It features a simple elegant silhouette with a high scoop neckline and two way stretch for added comfort. Available in white, black and silver gray.